Samsung Electronics Co. resilience to selling phones – as if the Galaxy Note 7 recall never happened – is priceless. The company has announced that Samsung Galaxy S8, as well as the Galaxy Note 8, will be launched soon. This could be considered as Samsung’s plan to encourage Galaxy Note 7 customers to surrender their phablets. Though the NOTE 7 was declared dead following several battery explosions and two recalls but the NOTE series will live on as, according to the company, both flagship smartphones will be ready for launch early next year. Meanwhile, Samsung is holding an attractive upgrade program that lets Galaxy Note 7 owners trade in their devices to get either a Galaxy S8 or Galaxy Note 8 at a discounted price, essentially confirming the arrival of the next generation in the Note series. The deal, however, is limited to customers in South Korea, and it’s still unclear whether or not it will be launched in the United States or other markets across the globe. The company says the rollout hinges on the situation that a country is in, but it did not explain the details. Samsung said “availability of such a program in other markets will be dependent on the situation in each country,” according to Reuters. Noting that consumers who participate in the program will have to cough out only 50 percent of the cost of the Galaxy S7 or Galaxy S7 edge when turning in their recalled Galaxy Note 7. 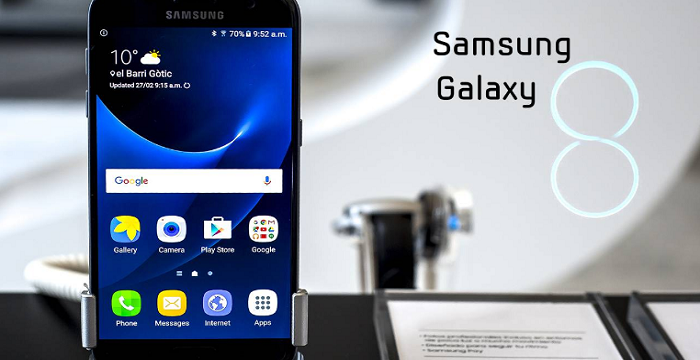 The Samsung Galaxy Note 7 no doubt, specs awesome features but the Samsung Galaxy S8 and Galaxy Note 8 are expected to be one of next year’s most exciting smartphones, so it’s likely to have seriously top-end specs. As usual, rumors say that the Galaxy Note 8 will have a speaker in the S Pen and that the Galaxy S8 might eschew a flat version in favor of a 4K curved Super AMOLED display. More than that, Samsung may get a little help from LG-made batteries in 2017 for the Galaxy S8, which could also be placed under the Galaxy Note 8’s hood. Moreover, the S8 is expected to boost to 8GB RAM, an optical fingerprint scanner, and two cameras on back. And I will quickly add here that the features and specs of the upcoming flagships aren’t clear yet, and that means users don’t have much to go by in deciding whether or not upgrading to them and paying for them before they even go official is worth it. Now, the question is, when the Galaxy S8 and Galaxy Note 8 upgrade program will goes live, are you going to swap your Note 7? Can the S8 get restore Samsung’s reputation? Let us know your thought using the comment box below.